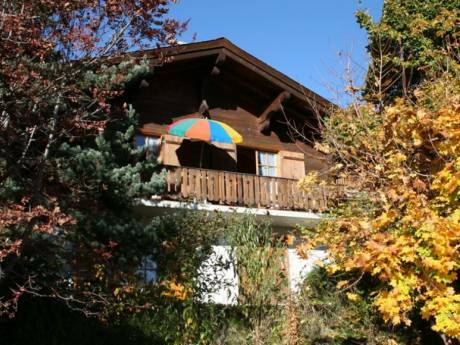 Our 2 storey house is a sweet and very typical Swiss chalet in the middle of the Alps. We have 2 bedrooms and an office. The second bedroom is a child's room with a single bed. The main floor has an open floor plan with a fire place. From the terrace you have a spectacular view of our village of Savièse, and the Alps including the tip of the Matterhorn (Le Cervin in French). 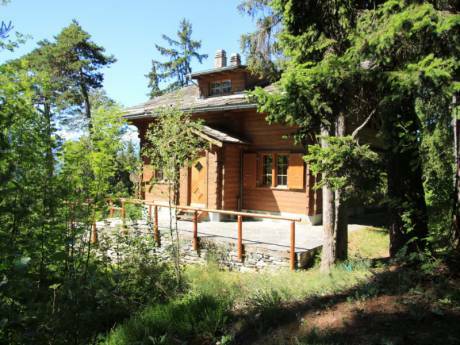 The chalet is built on a steep terrain, giving you an amazing view and 42 steps to climb from the garage. We also have a small yard. We are a young couple with a 3 year old. Husband Cédric is a teacher, and wife Dana is a transplanted Vancouverite. We are planning to visit family for 6 weeks in the summer 2010 (June 27th - August 11th). 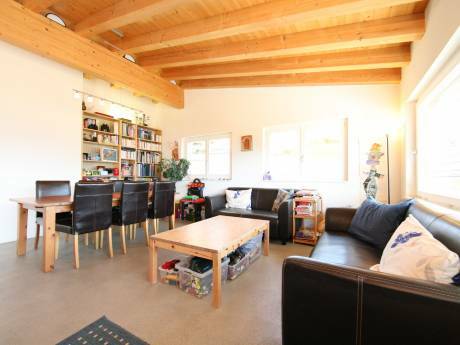 We live in a tranquil village surrounded by vineyards in the French speaking canton of Valais. It is a 5 minute drive to the medieval town of Sion with its castles and museums. All around there is hundreds of kilometers of hiking and mountain biking paths. There are many cultural events throughout the year and many things to discover. We are centrally located in Europe. Both Italy and France are just an hour away.